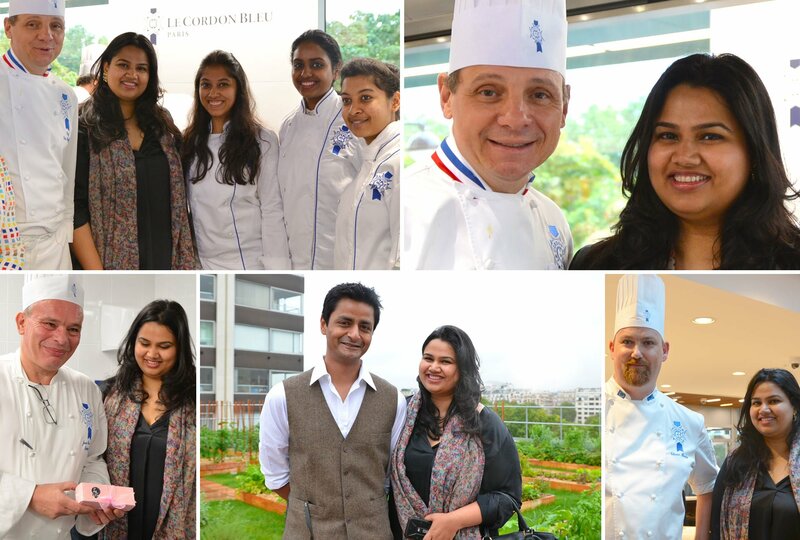 On September 2016, Pooja Dhingra came to visit the new campus of Le Cordon Bleu Paris. She met Chefs and particulary Chef Deguignet who taught her pastry. Why and how did you start to learn pastry? I’ve always had a passion for baking. While studying in Switzerland, I realized I was happiest in the pastry kitchen. This lead me to learn pastry at Le Cordon Bleu Paris. How many establishments do you run now? Your macaroons are very successful in India, what is your secret? You are preparing a second book, what is it about? When will it be released? My second book is about baking with wholesome and natural ingredients. It is focused on healthy recipes with Indian ingredients. I haven’t used processed sugar, butter, eggs or flour in the recipes. It is being published by Hachette India and releasing in January 2017. I want to open more cafes and write more books. You started a collaboration with Pablo Naranjo Agular, a colombian and alumni from Le Cordon Bleu Paris, sometimes ago, can you tell us more about this? Pablo and I became friends when we studied in Paris. Since I’ve only studied pastry I asked him to come help me plan our savoury menu at the café. He has now moved to Bombay and is helping me with establishing more cafes around India. You are a model and a great reference for a lot of pastry students. What advice would you give them? My advice would be to work hard and learn as much as you can. The learning never stops! You came to visit Le Cordon Bleu Paris new campus on September 15, 2016. What did you think? I loved the new campus. I was feeling bad that I won’t get a chance to study there. It is a state of the art campus. I found it to be very modern and I loved the new equipment and technology. I loved the herb garden on the terrace! Those were the most delicious strawberries I’ve had. During your visit, you had an encounter with one of your pastry Chef, Jean-François Deguignet. We can imagine that it brought you many memories? Yes! I miss working and learning from all my chefs at the school. You called your pastry boutiques “Le 15” referring to one of the district of Paris where Le Cordon Bleu is located. Could you explain this choice? To me Le 15eme was my home away from home. I wanted to bring the same feeling I had when I lived there back to my shop in Mumbai.